Blast First Petite was started in 2005 by Paul Smith, initially and primarily to release records that would not or could not be released by the original Blast First label (1985-1987 via Rough Trade & Mute Records UK, 1987-2007). Blast First Petite is now a wholly independent record label, distributed in North America via Forced Exposure (and the rest of the world via Cargo UK). Current artists on the label are Pan Sonic, Edward Quist, HTRK, Suicide, The Slits, Harry Bertoia, and X-Vectors, along with guest appearances on the Suicide 10" cover series from such notables as Bruce Springsteen, Nik Void, Grinderman, Sunn O))), Lydia Lunch, Peaches, and many others. For a self-confessed "journeyman" musician who has spent most of his 50-year career on the road live, Michael Chapman albums are curiously rare items and it's even harder to find one his earlier years. This one, recorded by Dutch "hippie" station "VPRO" in May 1971 is the earliest known live recording so far discovered of Michael Chapman after he started releasing records on the legendary Harvest label in 1969. This period is for Chapman fans of the classic period. A beautiful clear, warm and intimate recording of Chapman duetting with long-time collaborator Rick Kemp on electric bass of which documents material from all three albums in a free-flowing improv-inflected style. It is with this free-flowing vibe in mind that Blast First Petite have included the complete 90-minute concert via a download code so listeners can experience the whole set. Chapman sounds in a confident, gentle, and relaxed mood. The audience is initially tentative, possibly unfamiliar with Chapman's work but they gradually warm up to his complex, dexterous, "not folk" playing. The recordings make for a fascinating snapshot of the time, with a loose and open approach that offers a rare chance for guitar buffs to eavesdrop between songs on some those bespoke Chapman guitar tunings. LP version. For a self-confessed "journeyman" musician who has spent most of his 50-year career on the road live, Michael Chapman albums are curiously rare items and it's even harder to find one his earlier years. This one, recorded by Dutch "hippie" station "VPRO" in May 1971 is the earliest known live recording so far discovered of Michael Chapman after he started releasing records on the legendary Harvest label in 1969. This period is for Chapman fans of the classic period. A beautiful clear, warm and intimate recording of Chapman duetting with long-time collaborator Rick Kemp on electric bass of which documents material from all three albums in a free-flowing improv-inflected style. It is with this free-flowing vibe in mind that Blast First Petite have included the complete 90-minute concert via a download code so listeners can experience the whole set. Chapman sounds in a confident, gentle, and relaxed mood. The audience is initially tentative, possibly unfamiliar with Chapman's work but they gradually warm up to his complex, dexterous, "not folk" playing. The recordings make for a fascinating snapshot of the time, with a loose and open approach that offers a rare chance for guitar buffs to eavesdrop between songs on some those bespoke Chapman guitar tunings. Atomin Paluu features the final studio recordings made under the name Pan Sonic (Mika Vainio & Ilpo Vaisanen). Recorded per their usual working methods at Mika's home studio in Berlin from 2005 to 2011 and subsequently edited into this album format by Mika in 2015. 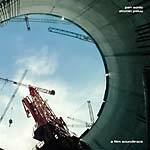 The film, Atomin Paluu (2015) is a Finnish production, created by Jussi Eerola and Mika Taanila, documents the building of the first nuclear power plant since the Chernobyl meltdown in 1986 - a project that fell foul of much bureaucratic wrangling and control which manifested itself in the need for over forty cuts of the film. Atomin Paluu, the soundtrack, shows Pan Sonic uniquely using selected third-party field recordings from filming at the building site. As the film's soundtrack, these recordings were also bound up in a complex series of delays in the release of the film. The pre-release screenings of the film it won the highly coveted 2015 Nordic Dox Award at the world renowned CPH:DOX festival in Copenhagen. The soundtrack itself brought the greatest recognition and went on to win Best Soundtrack at the Jussi Awards Festival (known as the Finland's Oscars). In typical Pan Sonic style neither member bothered to attend the awards to collect their statuettes. Twenty-four-page color newspaper with download code for one song each by English band Stick in the Wheel and Irish folk miscreants Lynched. Two raw and radical versions of traditional songs: "The Peat Bog Soldier" by Lynched and "White Copper Alley" by Stick in the Wheel. This release was launched at the sold-out May Day 2016 weekend at Cafe OTO in London, which was curated by Stick in the Wheel. The newspaper contains a conversation between the bands about their respective track choices, with articles by folklorist George Hoyle and political activist Roger Huddle and exclusive artwork by Stick in the Wheel's Nicola Kearey. Blood Sport: trio. Keegan, Parkin, and Potter. Drums, electronics, electric chordophone, baritone guitar, voice. Premiere ambassadors of Sheffield, England's aggro-beat sound. Audio propaganda from the UK's "first city of sanctuary." Mongrel soundclash pups of hi-NRG 'tronics and Afro-beat. Musical wing of northern underground party agitators Hybrid Vigour. Brothers-in-arms to tie-dye tapes and the audacious art experiment. Shoeless dancers. "A glorious fusion of opposing forces. . . . you never quite know if they're here to start the party or to destroy it" --Loud and Quiet. Includes a bonus mix CD with tracks by AMRL, Mark Ernestus Presents Jeri-Jeri, Tal National, Tshetsha Boys, Hieroglyphic Being, and Modular Pursuits remixed by Daphni; alternate mixes of album tracks; and remixes of album tracks by Richard H Kirk. Eagle/Deer is Sara Barratt. She recorded Summer of Sepia over a three-year period in her early 20s. She says she enjoys singing but isn't so sure about all the hoopla that goes with it. There are a couple of short interviews available online, and there's talk of the occasional (undocumented) live performance -- but this is not some attempt to seed mystique. The songs do that nicely on their own. To try to get the pigeon in a hole, one might call Summer of Sepia "Massachusetts psych-soul -folk." Other listeners have offered up a range of references, mostly along the lines of "lost '70s classic." Twenty-minute EP featuring two re-recorded tracks taken from Nisennenmondai's acclaimed 2014 album N (PTYT 083CD). Since taking the material on their highly successful 2014 tour, the songs have mutated from krautrock to a more neo-techno feel. Nisennenmondai is the world's best-kept secret among noise rock enthusiasts. 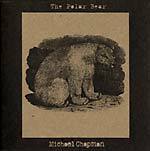 The Polar Bear is the third album in Yorkshire-born composer, singer, guitarist, and maverick troubadour Michael Chapman's series of improvisational music. The first, 2011's The Resurrection and Revenge of the Clayton Peacock (PTYT 068CD), was Wire magazine's #5 album of the year. It was widely well-received by press and fans alike as another highpoint in Chapman's late-blooming career, which has been boosted by the public recognition of his talents from the likes of Thurston Moore, Jack Rose, and Will Oldham. The second in the series, 2012's Pachyderm (PTYT 070CD/LP), is a minimalist masterpiece, a single-chord ambient work quite unlike anything Chapman had ever done before. It won him further widespread supportive reviews and a sold-out UK tour with Moore; out of that tour comes the duo heard on The Polar Bear's noise epic "Six, Two, Thirteen." The new record also features Chapman's experiments with cello accompaniment, as well as some pieces showcasing his own atmospheric slide guitar work -- further proof of Chapman's relentless search for new musical adventures. Almost half a century after his 1960s beginnings on EMI's legendary Harvest record label, Chapman, at age 73, is playing better than ever. Double LP version;The 500 limited edition double vinyl presents the complete album, but with the addition of a second disc dedicated to the memory of Clare Amory; featuring the 7-minute dark disco warning siren of Excepter's Nathan Corbin's instrumental "Destroy" on the A-side, and a hand-drawn John Fell Ryan "cabalistic vision of the universe through love and loss" engraving on the B-side. Divine the spinning magick -- the embracing of loss becomes a release. Familiar is Excepter's first new all studio recordings album since 2010's U.S. double album release Presidence (Paw Tracks) which brought the band the international recognition of The Wire magazine's cover story, followed in 2011 by the shattering news of the sudden death from cancer of core band member Clare Amory which scattered the wandering band members across their home continent to New York, Los Angeles and New Mexico. In 2012 the band managed to reconvene for a lengthy and successful European tour and also install themselves at Blast First Petite's invitation in Studio Faust in alchemical Prague to record the basis of this all-new album. The album is an audio-enhanced continuation of Excepter's trademark creepy-crawled odd leg disco, layered with LaLa's cosmic sighs and John Fell Ryan's atonal, lysergical lyric-poem chants. It also includes Excepter's cover of Tim Buckley's "Song to the Siren," which was perhaps best made famous by This Mortal Coil's sweet 1983 moonlit version. Here, Excepter deliver instead, a pain-warped invocation to their lost limb. Familiar is Excepter's first new all studio recordings album since 2010's U.S. double album release Presidence (Paw Tracks) which brought the band the international recognition of The Wire magazine's cover story, followed in 2011 by the shattering news of the sudden death from cancer of core band member Clare Amory which scattered the wandering band members across their home continent to New York, Los Angeles and New Mexico. In 2012 the band managed to reconvene for a lengthy and successful European tour and also install themselves at Blast First Petite's invitation in Studio Faust in alchemical Prague to record the basis of this all-new album. The album is an audio-enhanced continuation of Excepter's trademark creepy-crawled odd leg disco, layered with LaLa's cosmic sighs and John Fell Ryan's atonal, lysergical lyric-poem chants. It also includes Excepter's cover of Tim Buckley's "Song to the Siren," which was perhaps best made famous by This Mortal Coil's sweet 1983 moonlit version. Here, Excepter deliver instead, a pain-warped invocation to their lost limb. Double LP version. Mika Vainio's first solo album for Blast First sees him return to his classic power electronics/heavy beats approach that made Pan Sonic garner a worldwide reputation. The album developed from Vainio's recent live sets to make 10 tersely-titled tracks inspired by the shipping container industry. A toe-tapping contemporary Dublin-based electronic duo who sculpt guitars and found objects into thumping f-buttons and live pulse-fests delivered at heavy metal volume. The track "Billions" is one of those once heard, never forgotten anthems for a salmon-pink, shakey phone-movie, dawn come-downs. The verdant soundtrack to your own mystery worlds. Data-data-data-data goes the nagging needled guitar. This starts a 26-minute high velocity dystopian call to arms. 1978 shot through the 21st century canon (hello Savages). Tanted, chanted U.S. post-punk rock boy trio with a too-smart, too-cute, small "p"-pop sensibility with one of those mysterious classic cover artworks that, so alluringly simple, it acts as a portal into a whole other dimension. Wire(y), early Liars(y), with a dash of the Scritti trio that combine to make their very own highly potent cocktail of the now. If this doesn't have you jumping round the room, then you are already dead, daddio. LP version. Data-data-data-data goes the nagging needled guitar. This starts a 26-minute high velocity dystopian call to arms. 1978 shot through the 21st century canon (hello Savages). Tanted, chanted U.S. post-punk rock boy trio with a too-smart, too-cute, small "p"-pop sensibility with one of those mysterious classic cover artworks that, so alluringly simple, it acts as a portal into a whole other dimension. Wire(y), early Liars(y), with a dash of the Scritti trio that combine to make their very own highly potent cocktail of the now. If this doesn't have you jumping round the room, then you are already dead, daddio. 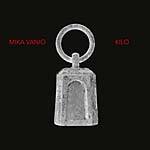 Finnish experimental electronic musician Mika Vainio's first solo album for Blast First sees him return to his classic power electronics/heavy beats approach that made Pan Sonic garner a worldwide reputation. The album developed from Vainio's recent live sets to make 10 tersely-titled tracks inspired by the shipping container industry. Four stars in Mojo: "heavy-freight," The Quietus describes it as "fearsome." 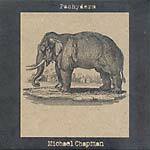 This album is the second in Yorkshire-born composer, singer, guitarist and maverick troubadour Michael Chapman's series of his more improvised musical releases. The first, 2011's The Resurrection and Revenge of the Clayton Peacock (PTYT 068CD), was Wire magazine's #5 album of the year, and was widely and favorably received by press and fans alike as another highpoint in Chapman's late-blooming career, which has been boosted by the public recognition of his talents by the likes of Thurston Moore, Jack Rose, and Will Oldham. Pachyderm is an LP-length minimalist masterpiece, a single chord ambient work quite unlike anything Chapman has done before and equally as surprising and different as Peacock managed to be. The second track is a remix of the first side by one Rob Antony, a young Cumbrian neighbor of Michael's.  Together they form a mellow and gently-shifting work that easily beckons auto-repeated plays. Chapman is now 71 years-old and playing better than ever. He started out on EMI's legendary '60s Harvest record label and turned down playing with both Elton John and David Bowie's Spiders band. It only goes to show, as per the recent rediscovery of the talents of his other contemporaries Roy Harper or John Martyn, eventually, your time will come. LP version. This album is the second in Yorkshire-born composer, singer, guitarist and maverick troubadour Michael Chapman's series of his more improvised musical releases. The first, 2011's The Resurrection and Revenge of the Clayton Peacock (PTYT 068CD), was Wire magazine's #5 album of the year, and was widely and favorably received by press and fans alike as another highpoint in Chapman's late-blooming career, which has been boosted by the public recognition of his talents by the likes of Thurston Moore, Jack Rose, and Will Oldham. Pachyderm is an LP-length minimalist masterpiece, a single chord ambient work quite unlike anything Chapman has done before and equally as surprising and different as Peacock managed to be. The second track is a remix of the first side by one Rob Antony, a young Cumbrian neighbor of Michael's. Together they form a mellow and gently-shifting work that easily beckons auto-repeated plays. Chapman is now 71 years-old and playing better than ever. He started out on EMI's legendary '60s Harvest record label and turned down playing with both Elton John and David Bowie's Spiders band. It only goes to show, as per the recent rediscovery of the talents of his other contemporaries Roy Harper or John Martyn, eventually, your time will come. John Elliot, operating under the moniker Outer Space IS one third of American nu-electronicists, Emeralds. Musically, this is an electronic smorgasbord of five trippy tropes that rip the inner light fantastic. II is the logical progression. It is an effort based on group format, and is an evolution from the debut Outer Space album. The central core of Elliott and Andrew Veres worked to arrange, record, and mix for a new direction and a new sound; headed down a path of cracked concrete and dissolving memory from the aether. Many different textures and composing methods are applied here, to make a more varied and spontaneous array of songs. Experiments ranging from looped, broken m-400, jagged rhythm beds, and modular synthesis. Severing the obsessions of death and anxiety, and creating a work based on "the current," and those involved in the process, II has a different feel with less claustrophobia and more breathable air. Imagine the sounds are a liquid, with different masses and changing color. II is first in a trilogy of sounds to be released in 2012. It's considered to be the second full-length effort by the project. Reality comes first here with a narrative of events that are real and happening right now. Close attention to detail reveals more than what is seen on the surface. The information is presented clearly; it's up to the listener to use the intelligence provided for full comprehensive understanding. Guest appearances by: Andrew Veres, Philip J. Whiteside, Drew McDowall, Jeff Hatfield and Adam Miller. Produced with Mellotron M-400 and synthesizer. Sounds mastered by James Plotkin. The artwork features gentle, acidic, shimmering drawings by Graham Lambkin. Printed on a deluxe mirror board and pressed on 150 gram vinyl. Limited edition of 1,000 copies. LP version. West Yorkshire's Dean McPhee releases his first full-length album consisting of four new tracks of his singular signature style of introspective, drifting instrumentals, masterfully-played eclectic electric guitar and efx meanderings. Quiet-time music; summer fields and winter fire-tending. Future dub folk from an olde English tradition that no one can quite put their finger on. Blast First Petite re-released his initial Brown Bear EP on CD in spring of 2010 to a growing press awareness of this young man's talents with Boomkat, Brainwashed and Foxy Digitalis giving him the big ears kudos and MOJO and Tom Ravenscroft firmly planting the McPhee flag as a talent to watch out for. A steady rivulet of live dates are planned with sympathetic souls old (Michael Chapman's Ecstatic Peace! tripping) and new (Richard Skelton psychogeographical séances with place). Following its original Summer 2011 release as a 500 copies limited-edition vinyl release for Thurston Moore's Ecstatic Peace! label, Michael Chapman's The Resurrection And Revenge Of The Clayton Peacock is now released on CD for the first time by Blast First Petite. For those already aware of the Yorkshire-born composer, singer, guitarist and self-confessed maverick troubadour, Chapman's Clayton Peacock recording may come as something of a surprise. The music here is unlike anything he has crafted before, casting aside his skills as a songwriter and focusing on improvisation for the first time. The LP was Wire magazine's No. 5 Album Of The Year, after it received a full-page rave review by Edwin Pouncey and later, Chapman himself received his own Invisible Jukebox feature. Chapman, along with Bert Jansch, John Renbourn, John Fahey et al, was a significant and historical informant for this young set. But he claimed to have never even entertained the notion of an LP of exclusively improvised playing. Anyone who has had the good fortune to hear Michael just take off in the middle of his songs and simply shred into zones of in-and-out-of-the-chakras stratosphere knows that such an idea could only be wildly welcomed. 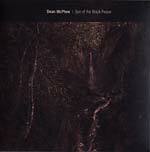 West Yorkshire's Dean McPhee releases his first full-length album consisting of four new tracks of his singular signature style of introspective, drifting instrumentals, masterfully-played eclectic electric guitar and efx meanderings. Quiet-time music; summer fields and winter fire-tending. Future dub folk from an olde English tradition that no one can quite put their finger on. Blast First Petite re-released his initial Brown Bear EP on CD in spring of 2010 to a growing press awareness of this young man's talents with Boomkat, Brainwashed and Foxy Digitalis giving him the big ears kudos and MOJO and Tom Ravenscroft firmly planting the McPhee flag as a talent to watch out for. 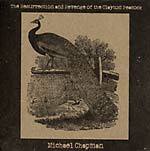 A steady rivulet of live dates are planned with sympathetic souls old (Michael Chapman's Ecstatic Peace! tripping) and new (Richard Skelton psychogeographical séances with place). Warehouse find, last copies. Shot live for TV by the legendary German music show "Rockpalast," this DVD represents the earliest example of a complete John Fahey concert performance, given on March 17, 1978. The multi-camera filming features detailed close-ups of Fahey's playing style, giving Fahey fans a rare insight into what Pete Townshend has called the William Burroughs of the guitar. Fahey's 1978 visit to Europe saw him in fine wild form, performing an 10-track set and, as an incredibly rare bonus, a short interview with the maverick iconoclast. All-Region NTSC-compatible DVD in CD digipak. Location: Audimax, Hamburg. John Fahey: vocals, guitar.